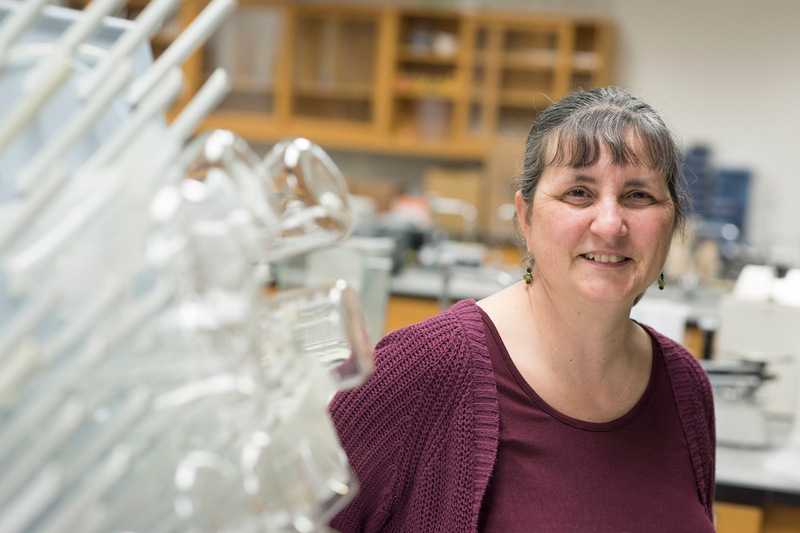 Rochester Institute of Technology Associate Professor Suzanne O’Handley has been selected by the Council on Undergraduate Research and the Goldwater Scholarship Foundation as the 2019 CUR-Goldwater Scholars Faculty Mentor Awardee. O’Handley, a faculty member in RIT’s School of Chemistry and Materials Science, was chosen from 10 finalists for her considerable achievements as a dynamic scholar, teacher and mentor. The Goldwater Foundation provides scholarships to college sophomores and juniors who intend to pursue research careers in the natural sciences, mathematics and engineering. The goal is to ensure that the United States is producing the number of highly-qualified professionals the nation needs in these critical fields. O’Handley launched RIT’s Goldwater Scholars program in 2004 shortly after joining the university as a faculty member. Since then, RIT has had 28 Goldwater Scholars and seven honorable mentions. Before O’Handley assumed the campus representative position at RIT, the institution had no Goldwater Scholars and one honorable mention. O’Handley’s undergraduate mentees have garnered numerous grants, fellowships, admission to distinguished graduate and professional programs, publication and presentation opportunities for their research, and success in the workplace. She will receive the award, which consists of a plaque and $5,000 for her research program and/or undergraduate researchers, at the National Conference on Undergraduate Research at Kennesaw State University in April.